The Anchor design was first used on the press style shown. The opposite side of the press has a March 1909 patent date. This patent does not refer to the anchor design, but to the method of attaching the handle. As you can see, this press does not have an obvious shaft pin holding the handle in place. 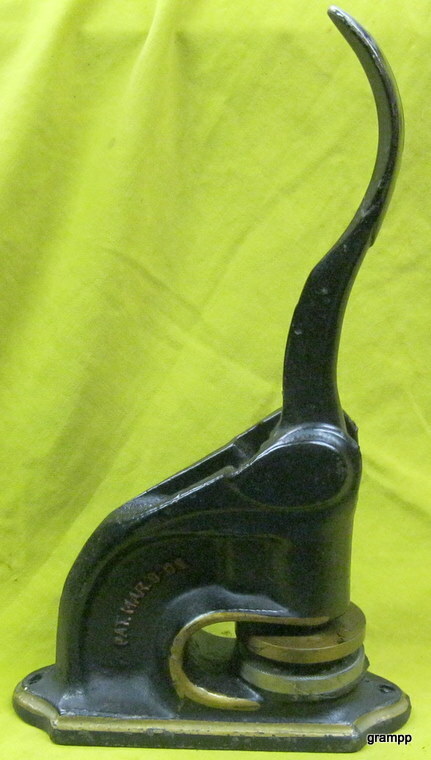 The shaft pin is cast as part of the handle, and driven in from the rear during manufacture. This patent design has also been seen with no other cast embellishment, and with a company logo. The Anchor example is also found in a smooth body press. All three varieties of the 1909 patent press are shown in the second edition guide book. This example of an anchor press is from the 40's when craftsmanship was declining. The anchor is no longer cast in, but is now a decal. 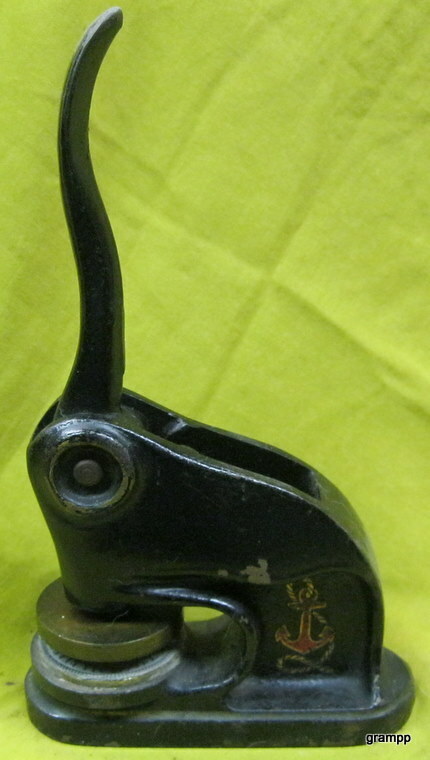 This press is not an example of the 1909 patent, but the Anchor design had become common by the 30's.